Somali Migrants Protest Video Posted By Swedish Parliament Member - We Resist. Nearly 200 Somali migrants protested Saturday after what they said was a racist video posted to the social media account of a member of Sweden’s parliament. The protest in Orebro was in response to Left Party member Amineh Kakabaveh who allegedly posted a video to her Facebook page on April 24. The video allegedly included images of Somalies and used language that described them as social misfits and people with lower IQs. Kakabaveh immediately removed the video last week. In an interview with a local Swedish newspaper, she apologized for posting the video clip. Ahmed Abdullahi Kaboole, a protest organizer, told VOA Somali the demonstrators oppose racism and Islamophobia. 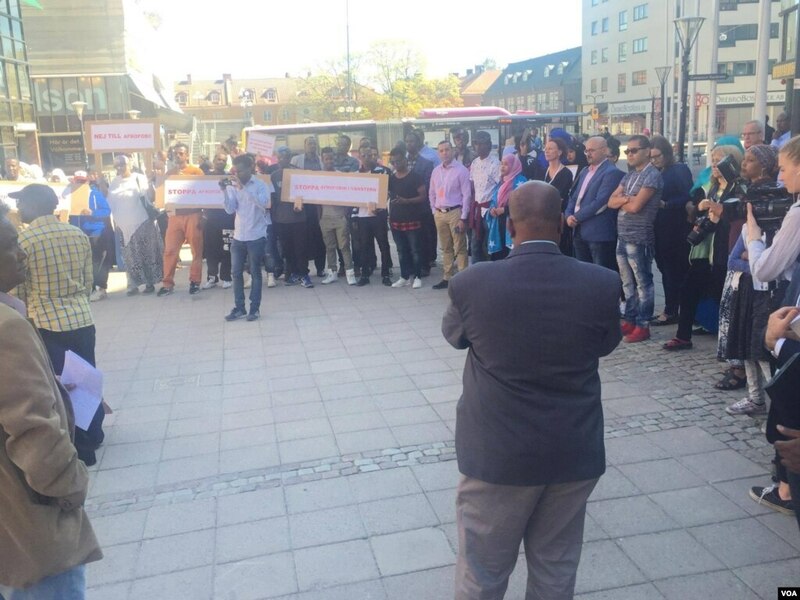 Somali migrants protest in Orebro, Sweden, May 7, 2016. They were protesting in response to what they called a racist video posted by Amineh Kakabaveh, a Swedish parliamentarian, to her Facebook page last week. “We came out to show our feelings, and how were are disgruntled with the recent racist comments from Kakabaveh,” Kaboole said. He said they were also demanding that she resign over the incident. “Somalis, other migrants and Muslims are facing their worst-ever racial discrimination,” he added.